"I cant wait for you to marry us in August... Amazing man, kindest soul, great sense of humour who will make our day one to remember ..."
"Adriane and I would like to thank you for being our Marriage Celebrant. It was so nice to have you there as we were both very comfortable with you and you made us laugh. It was so much fun, we want to do it again! Thanks again"
"Shane was so personable and made the entire experience and process much easier than we expected it to be. Shane has such a warm and friendly presence and we couldn't of been happier with all the time and effort he put into making our wedding day special. Shane can engage a crowd like no one else and makes everyone feel so involved." "We just wanted to say a massive thank you for giving us our dream ceremony. We got some many compliments and comments about how amazing you were. We will definitely be recommending you to all the future brides and grooms we come across!" 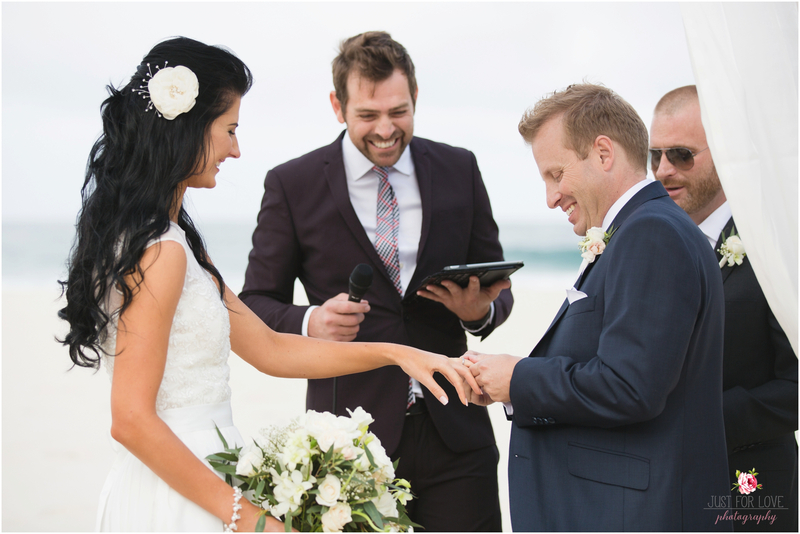 "Shane was exactly what both my now husband and I wanted in a celebrant. He was very professional yet his relaxed and chilled attitude made both of us relaxed and we had so much fun at the ceremony. Everyone of our guests who have commented of this have all said what an amazing job he did. We defiantly recommend him." "We loved how friendly and fun you made the ceremony, it's meant to be a celebration and you helped make it feel that way. Thank you. It was awesome!" "We loved how friendly and fun you made the ceremony, it's meant to be a celebration and you helped make it feel that way. Thanks again for an awesome ceremony... best day ever!" "Thanks Shane, We are so grateful that you were our celebrant. You were so funny and relaxed, that you made us feel at ease. Everyone commented about how funny you were after the ceremony. I loved that you were socialising with our guests and making everyone feel at ease. Thanks again Shane, if we could have the day over we would definitely have you again." "Thank you so much for being the MC at the Wedding Harvest on the weekend. Your enthusiasm and smile was infectious, and we had so many comments throughout the day about how fabulous you were. You had the fashion parades running like clockwork, and you made the event so much fun. We can’t wait to have you at the next Harvest, and work with you at some upcoming weddings. Thank you again"